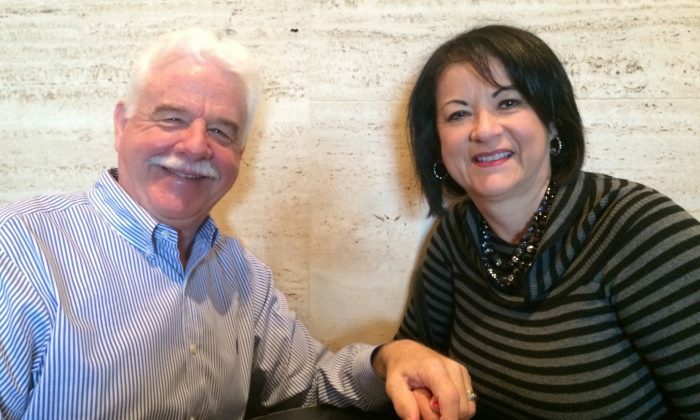 HOUSTON—Rod Guice was pleasantly surprised by Shen Yun Performing Arts. “I think it was very well-done and I think the whole thing was kind of surprising … It’s great I like it,” he said at intermission during a performance at Jones Hall for the Performing Arts, Jan. 4. Mr. Guice is the manager of a division at ZaZa Energy Corporation in Houston. He said the Shen Yun performance was a very educational experience. “I didn’t realize that tumbling came from Chinese dance and that gymnastics is like an offshoot of that,” he said. Shen Yun performs mainly classical Chinese dance, which is one of the most comprehensive dance systems in the world. According to the Shen Yun website, classical Chinese dance passed down within royal courts and ancient Chinese theater and opera where it was enriched by the cultural characteristics of different dynasties. As explained by Shen Yun, many of the moves in gymnastics and acrobatics take their origin from classical Chinese dance. Mr. Guice said he also found Shen Yun’s performance very spiritual. “At the core of it is humanity, compassion,” he said. He was struck by the piece, The Power of Compassion, which is based on true events taking place in China today. In it, practitioners of the spiritual discipline Falun Dafa give aid to a policeman who injures himself while trying to arrest them. Mr. Guice said he had not known that the Chinese Communist Party (CCP) banned people from practicing Falun Dafa. Shen Yun can depict the persecution of Falun Dafa (also known as Falun Gong) because the company is based in New York, not China. In 2006, Chinese classical artists founded Shen Yun with the mission to revive China’s traditional arts and the values they embody. They felt this was needed to counteract the damage of multiple political campaigns the CCP has staged to eradicate traditional culture and values. Both Mr. Guice and his wife Rose were impressed with the artistry in Shen Yun. Mrs. Guice said she performance was the first-of-a-kind for her. “I had never pictured anything like that, it was something I’ve never experienced or seen. It was beautiful,” she said. Mr. Guice said the movements of the female dancers “blew him away” and he felt the performance had a substantive message.